The Astronomical Unit – Part space-time analysis, part free improvising conquistadors. 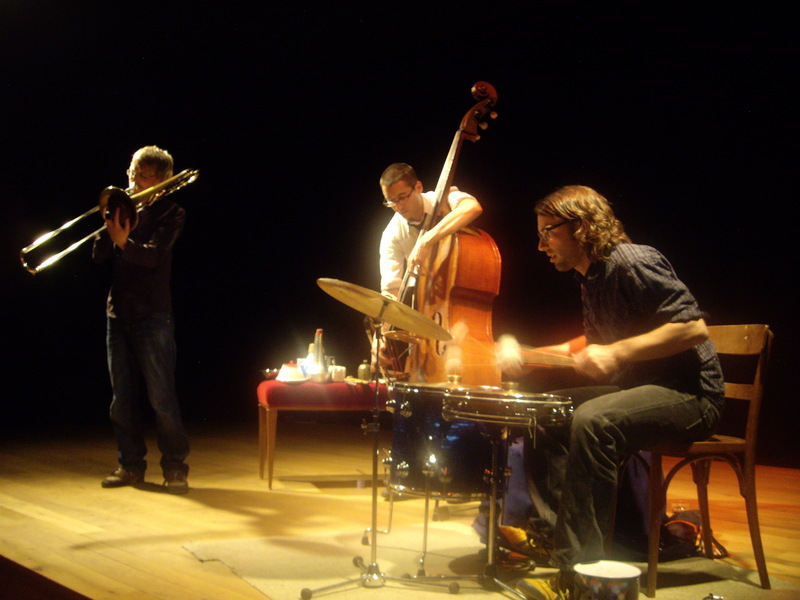 The trio of Christian Marien, drums, Matthias Müller, trombone and Clayton Thomas, double bass are pursuing a liberated music. Drawing from the rhythmic seas uniting Gagaku and Hip Hop, as well as the spontaneous construction of the Spontaneous Music Ensemble. Our debut CD was released on Jazzwerkstadt Berlin in 2009 -named Relativity, this recording captures a textural fetishism that we have since relinquished in favor of a more robust analysis. A bit like giving up fractal drawings to work at the Hadron facility. We’ve just recorded our second CD – due for release in 2012. For contacts, more information or promo CD’s just leave a comment.